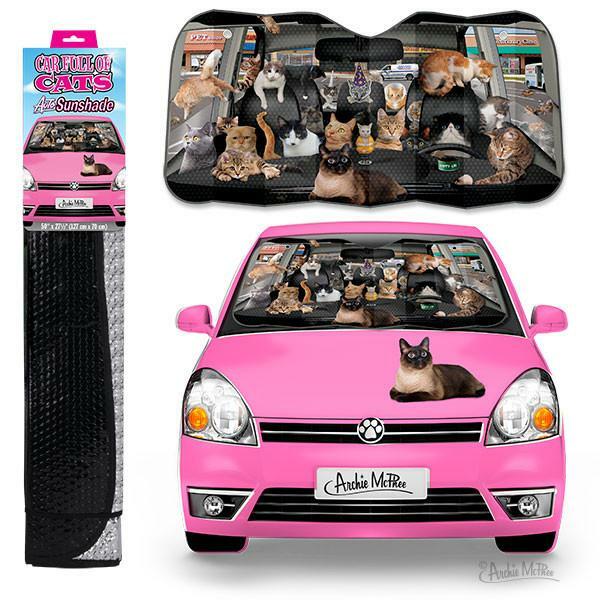 If you could have your deepest wish for a car accessory come true, wouldn’t it be that all your cats could come with you everywhere? 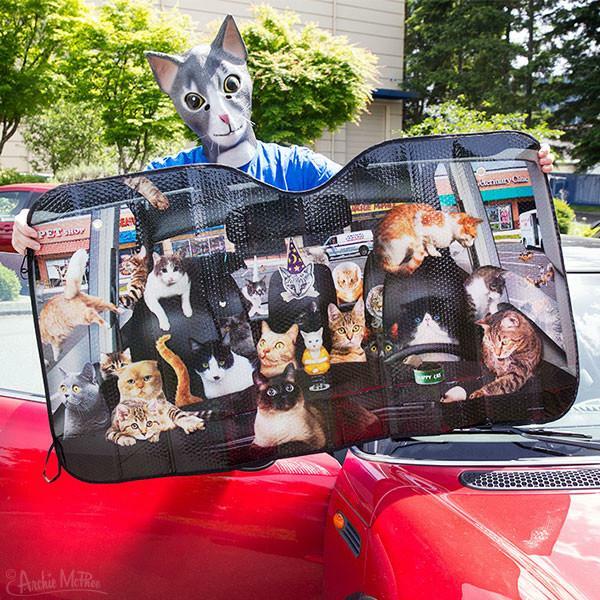 This sunshade makes it look to outside observers that your wish has come true! It’s filled to cat-pacity! It’s big enough to fit most cars. Using “solid material producing shade” technology, it protects, cools and blocks out UV rays. 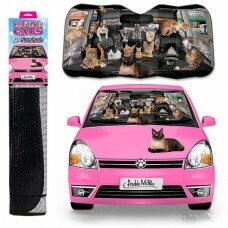 Includes two suction cups for installation so simple, even a kitty could do it!